Sometimes improvising to make things “fit” will neither save time nor money. 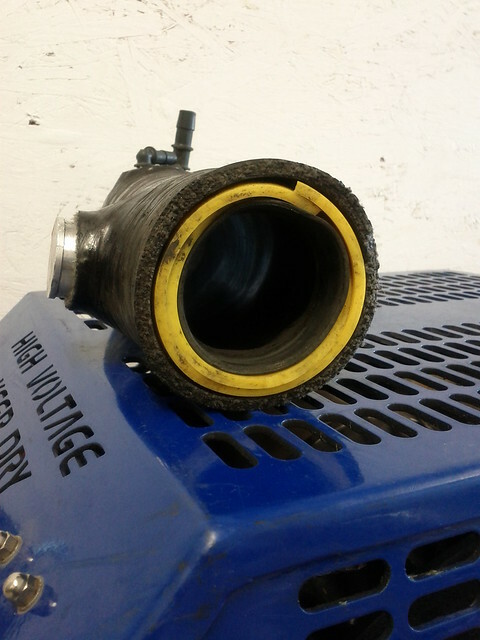 For this 2004 STi, the wrong inlet hose (or compressor housing option) was ordered for the turbo, a Blouch DOM2.5XTR. Instead of getting the correct parts, they decided to stuff sections of rubber and silicone hoses inside of the turbo inlet hose to make up the difference. Once assembled, it was really hard to spot that there was a mismatch in size. The result? 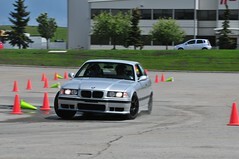 The turbo was unable to hold 18psi past ~5300RPM. Once it was found that there were hoses within inlet, it became apparent that the hose sections were folding over as air flow increased, closing off the inlet to the turbo. In other words it looked like a large inlet but behaved like a very small one. Replaced the inlet with a proper sized one and things were back to normal. 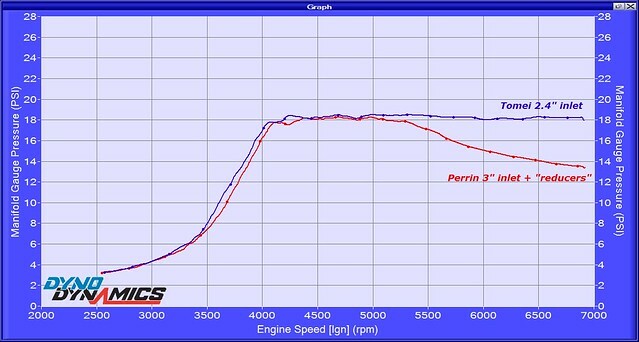 At 6500RPM, the 4psi difference is worth about 40-45WHP. In trying to save time and get the car “ready”, the owner ended up paying for the extra time to diagnose the problem, another turbo inlet, and labor to install it.